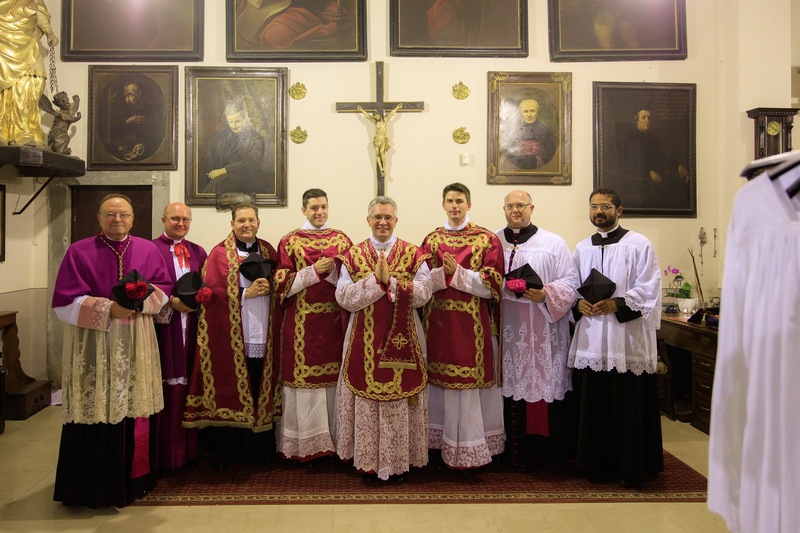 On June 23rd, the FSSP celebrated the priestly ordination of five of its members at the parish church of Heimenkirch, Germany, very close to their International Seminary of St Peter in Wigratzbad. 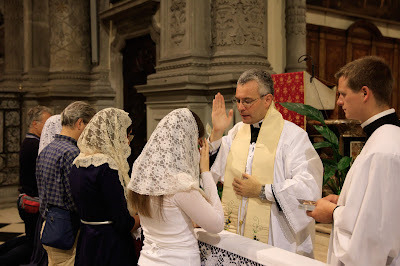 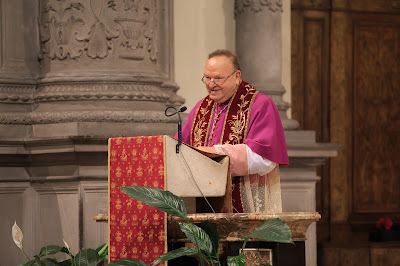 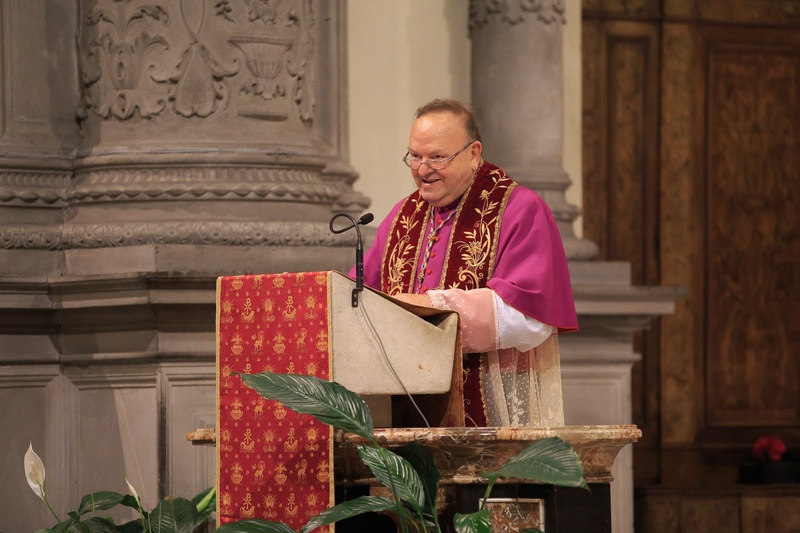 Among them was Fr Dimitri Artifoni, born and raised in the northern Italian city of Bergamo, who is now the Fraternity’s second Italian priest; he is currently serving at their Roman parish, Santissima Trinità dei Pellegrini. 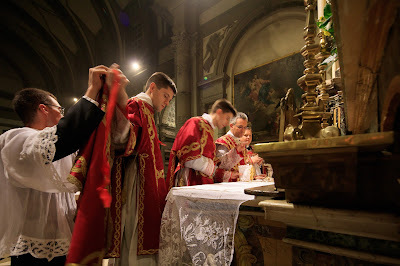 On the feast of the Exaltation of the Cross, Fr Dimitri was able to return to his native city and celebrate solemn Mass there for the first time, at the church of the Holy Spirit. 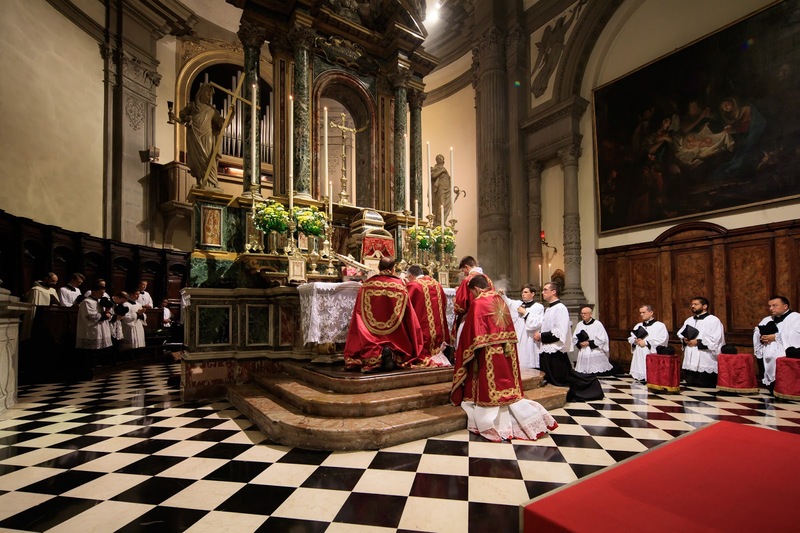 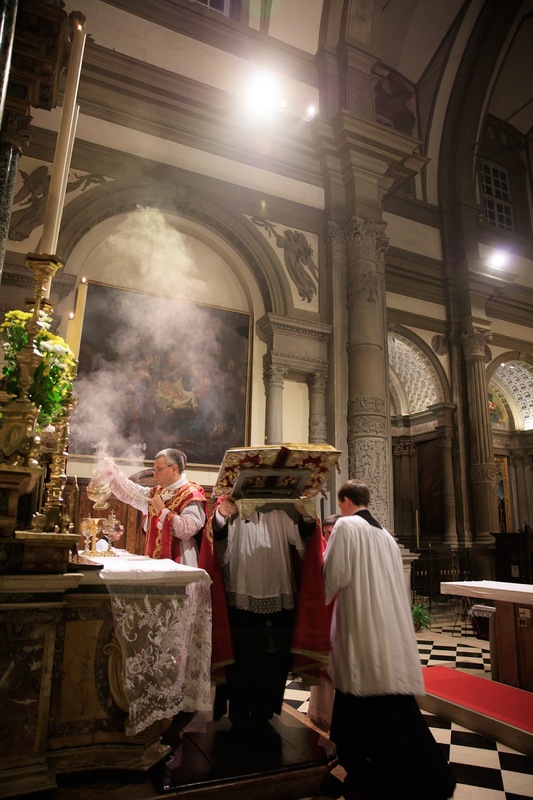 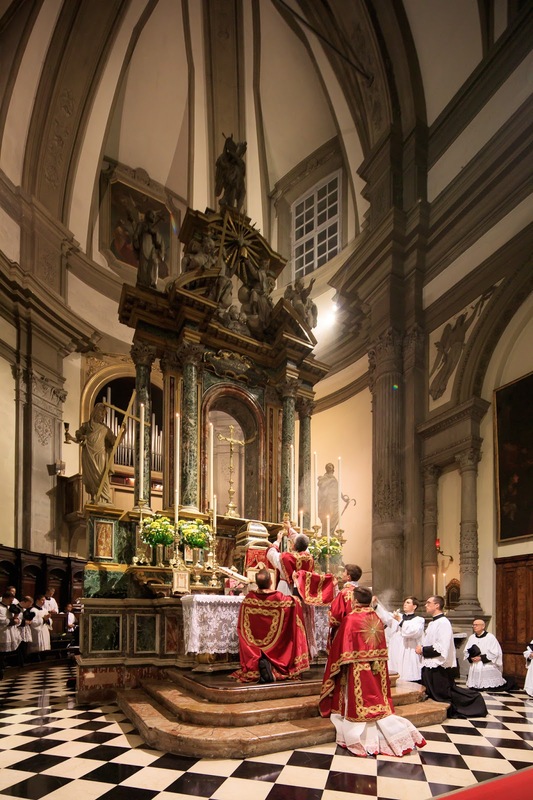 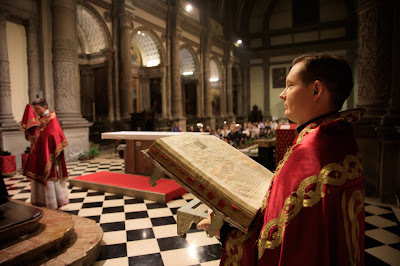 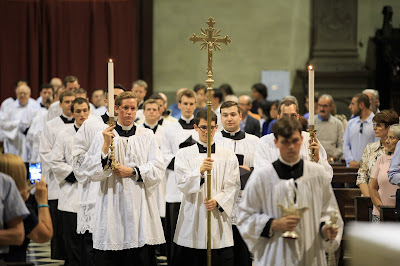 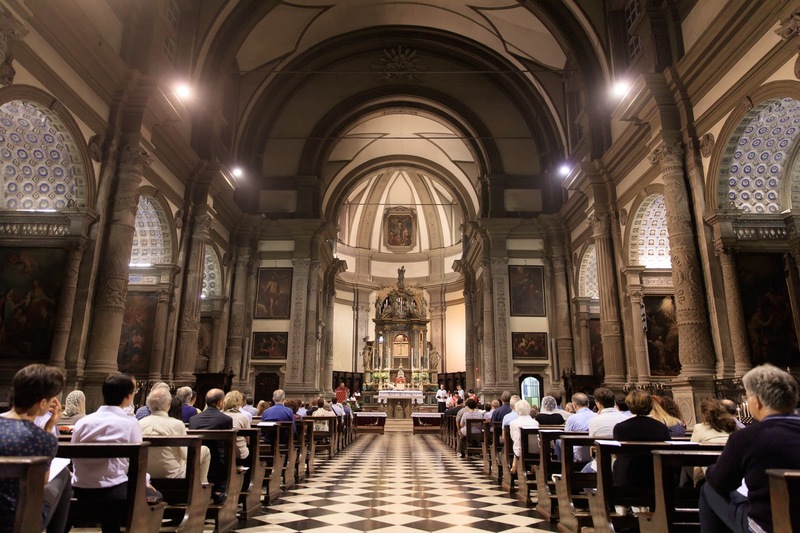 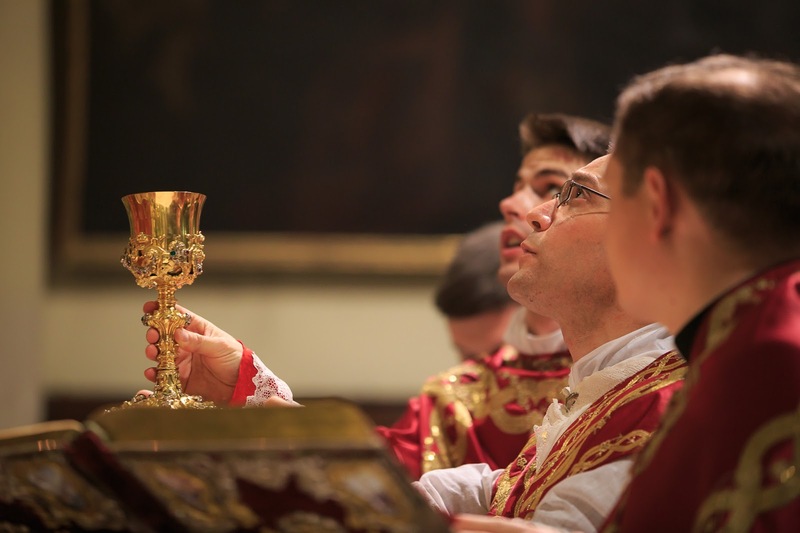 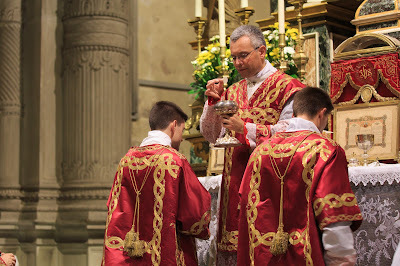 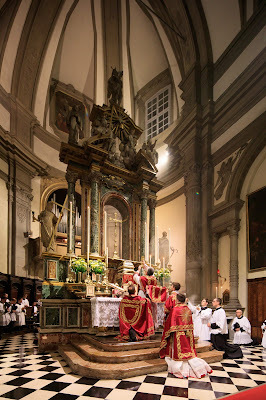 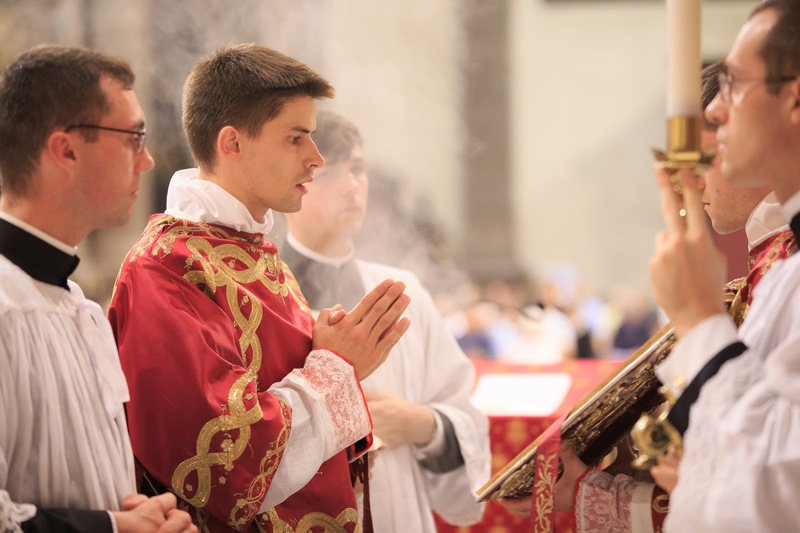 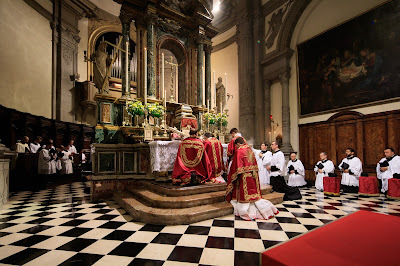 The Mass was served and attended by several of his confrères; once again, it is very encouraging to see how young these fellows are who devoting their lives and their priestly ministry to the preservation of the traditional Catholic liturgy. 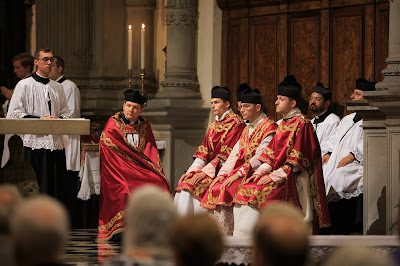 Congratulation to Fr Dimitri, and all the new priests of the FSSP - ad multos annos!